Golija’s art evolved from the early, socially charged figurative prints from the 1950s that were created under the influence of his mentor and close friend Božidar Jakac, to increasingly abstract compositions, in which the realistic starting point is first replaced by the stylized dynamics of sharply delineated surfaces in black and white and colour woodcuts. Golija perfected his woodcutting technique during his stay in Japan. 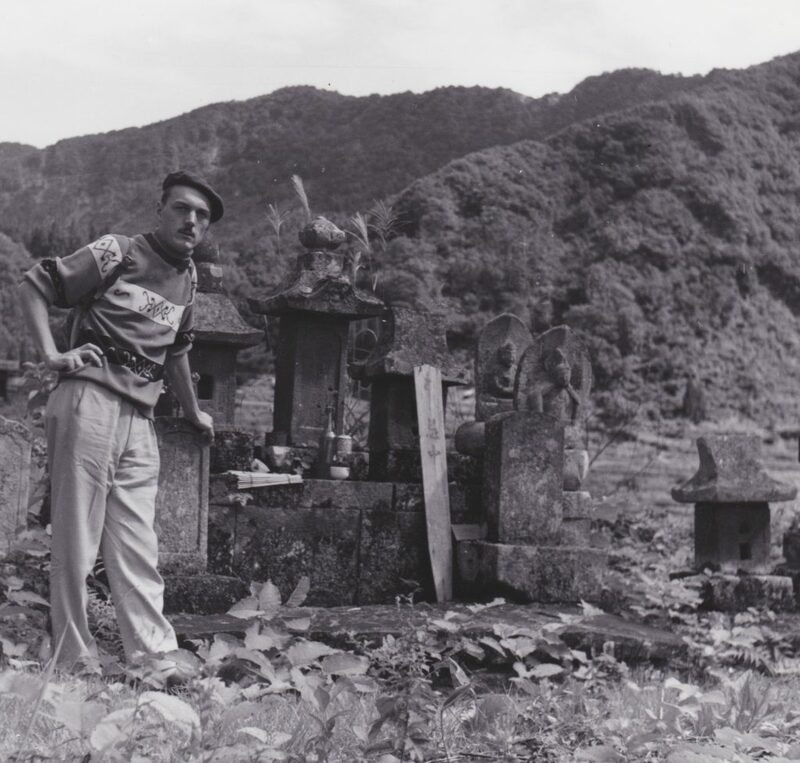 He travelled there in 1957 at the invitation of the later chairman of the International Art Education Association and the assistant director of the National Museum of Modern Art in Tokyo, and thus became the first student from the Academy in Ljubljana to visit Japan after World War II. Apart from Golija’s Japan inspired woodcuts, which represent a unique chapter in Slovenian postwar graphic arts, the exhibition will also showcase photographs and drawings from the artist’s several months’ journey, offering an extraordinary and rarely disclosed insight into the way of life in Japan after the war. The Japanese experience brought colour to Golija’s work, and incited in the artist a sensibility to cultural heritage and to the aesthetic intricacy of the natural world. Upon his return, he merged in a unique way the stylistic characteristics of Japanese woodblock prints with Slovenian ethnographically charged imagery, and expressed increasing interest for floral motifs, which served as an inspiration for vivid compositions and the somewhat toned down, lyrically complex works. 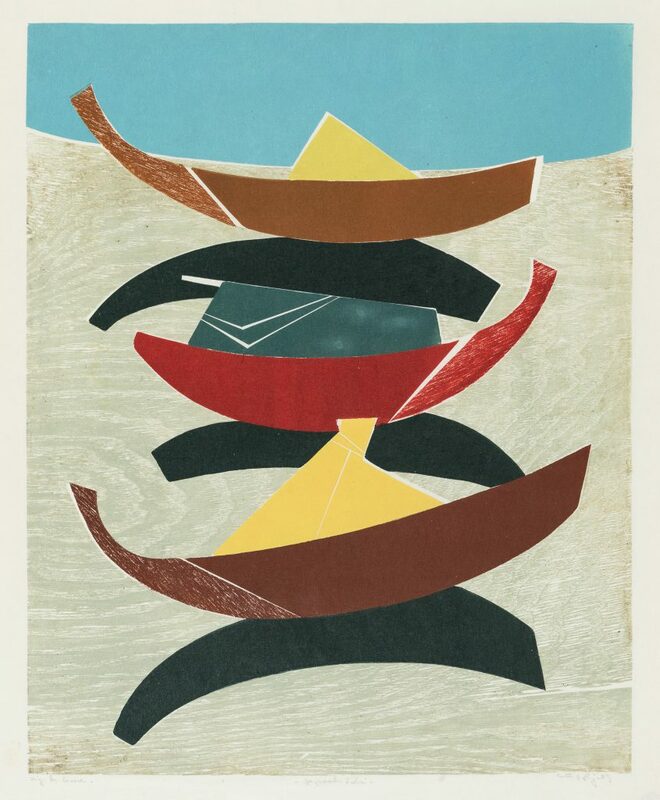 — Japanese Boats, c. 1958, colour woodcut, 50.5 x 40.5 / 61 x 48.5 cm. 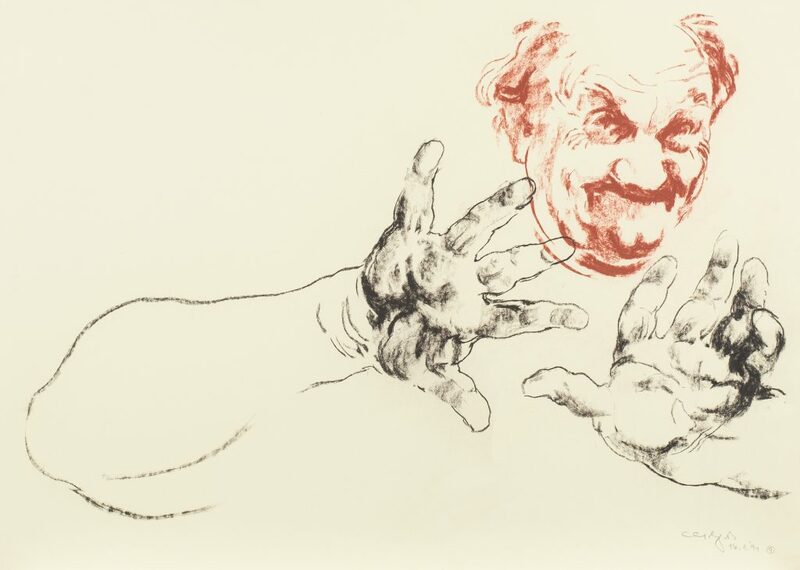 In terms of both content and technique, Golija was always searching for new expressive possibilities. From the mid-seventies onwards, he used geometrical variations and minute colour particle fusions to create unique fantasy landscapes. To those he would in some places add letters, stamps, photographs or imprints of objects from the everyday world, thereby creating a kind of an insight into the individual’s cerebral realm, where images and letters merge with biomorphic structures. Golija’s opus concludes with images of fantasy circuits, which at times allude to the structure of brain tissue. These works bring forth once more the artist’s sensitivity for the aesthetics of the line, which now becomes increasingly materialized as the inexhaustible vita l force of Golija’s creativity. — Self-Portrait, 1994, chalk, 49.7 x 69.5 cm. Bojan Golija was born in Maribor in 1932. In 1954 he graduated from the Academy of Representational Arts in Ljubljana (today the Academy of Fine Arts and Design), and after two more years completed specialist studies in graphic arts under professor Božidar Jak ac. In 1957 he travelled to Japan on a study visit, staying there for six months. Upon returning he was first employed as a drawing teacher at the elementary school in Kamnica near Maribor, and then at the Maribor college of education, and at the gymnasium^for education in Maribor. He was among the first professors at the Maribor Academy of Education, later renamed to the Faculty of Education of the University of Maribor. For his achievements and an outstanding success in pedagogical work he received the title of Emeritus art educator of Yugoslavia (1978), and the National order of merit with a silver star (1978). Following his retirement, the Senate of the University of Maribor awarded him the title of Emeritus Professor in 1999. He died on 14 January 2014.